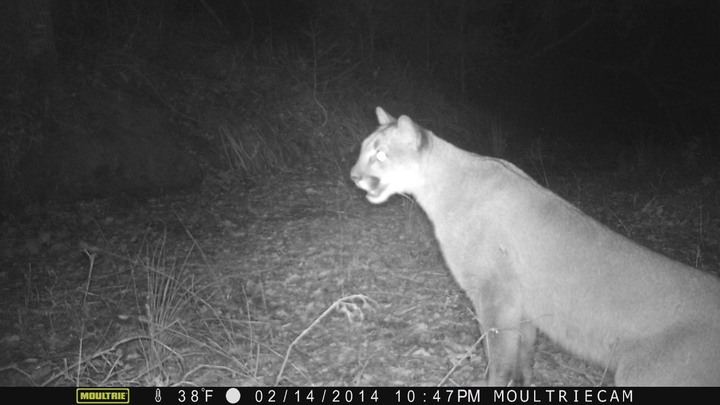 Mary Bordi captured this mountain lion on her property in La Honda on Valentine's Day around 10pm. Mary Bordi, who lives on 50 acres in the vicinity of Portola Redwoods State Park, Pescadero Creek County Park, and MROSD lands, posted this image of a mountain lion taken on Valentine’s Day of this year. The movie is from 2012.